Dieppe Cerf Volant 2010, originally uploaded by Pierre Lesage. 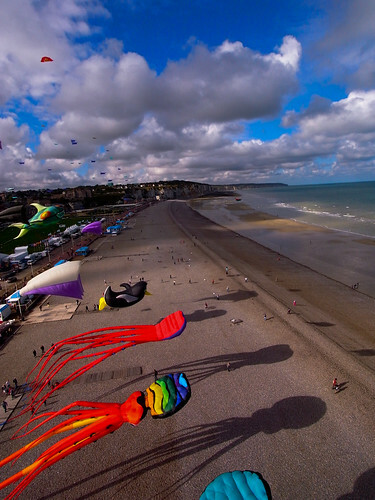 Dieppe Cerf Volant 2010 is the largest kiste festival in the world, this year 50 countries were meeting in Dieppe just for the pleasure of flying kites. 2010 is the 16th festival and celebrations around the 30 years anniversary which is held every two years was incredible. The CVCF (Cerf Volant Club de France) as well as Patrick and Patricia from Wokipiki has a booth to showcase Kite Aerial Photography and the audience was really impressive.